Prescott’s 34-yard toss on a deep throw to his star running back set up Brett Maher’s 38-yard field goal as time expired, lifting the Cowboys to a 26-24 victory Sunday and once again spoiling Matthew Stafford’s homecoming. Maher’s fourth field goal came after Elliott got a step or so behind Davis and made an over-the-shoulder catch on his way to a career-best 240 all-purpose yards. 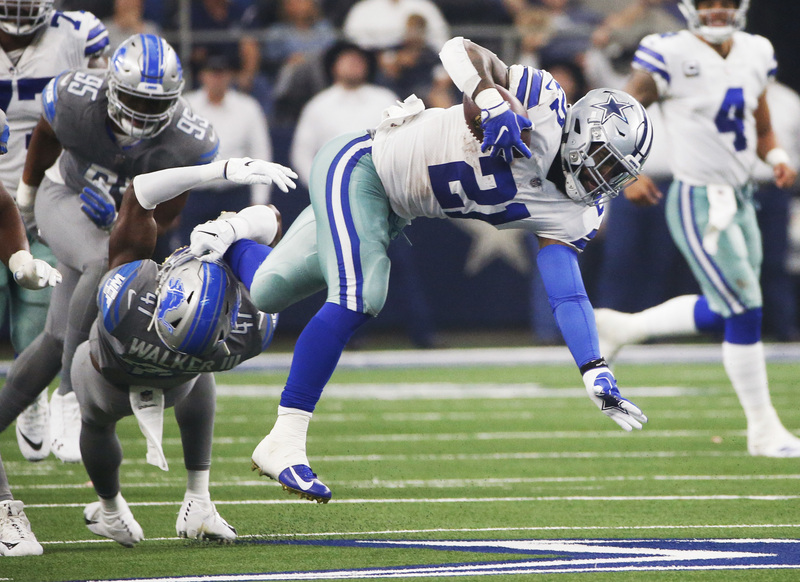 Elliott had 152 yards rushing and 88 receiving, also highlighted by a 38-yard touchdown on a screen in the second quarter. The best day of the season for a previously struggling Dallas offense — 414 yards — handed Stafford his third straight loss at the home of the Cowboys (2-2), seven years after his only win in his first trip to AT&T Stadium. The former Dallas-area high school star threw for 307 yards. Trailing 20-10, Stafford led the Lions 75 yards to rookie Kerryon Johnson’s first career touchdown , an 8-yard run that started a back-and-fourth final quarter. Johnson ran 32 yards on the first play of the game and finished with 55 yards. Prescott then converted a third down and two plays later hit Elliott in stride on the decisive play. The Cowboys killed the clock to set up Maher, the kicker they chose over Dan Bailey — the second-most accurate kicker in NFL history — at the end of the preseason in a cost-cutting move. Elliott had a season-high 25 carries for his 152 yards, and Prescott was 17 of 27 for 255 yards with two touchdowns, including tight end Geoff Swaim’s first career score .